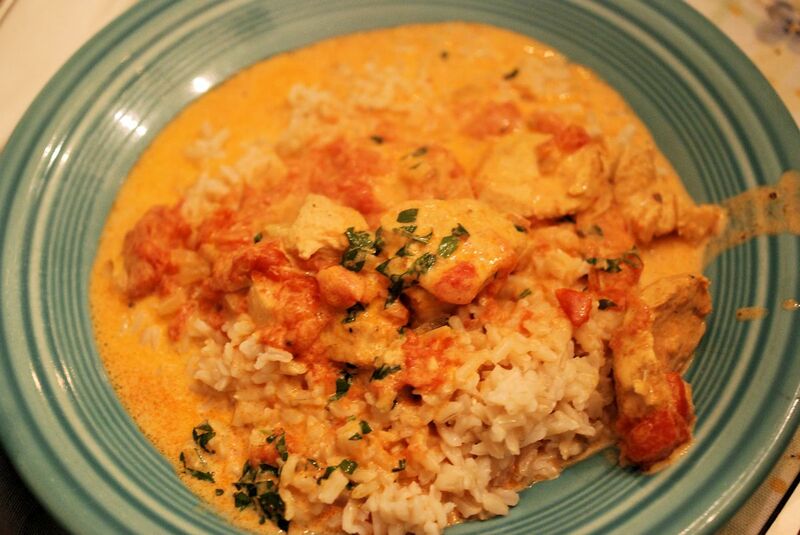 We came across a really simple and delicious recipe for Butter Chicken (murgh makhani) published on the 12tomatoes web site. 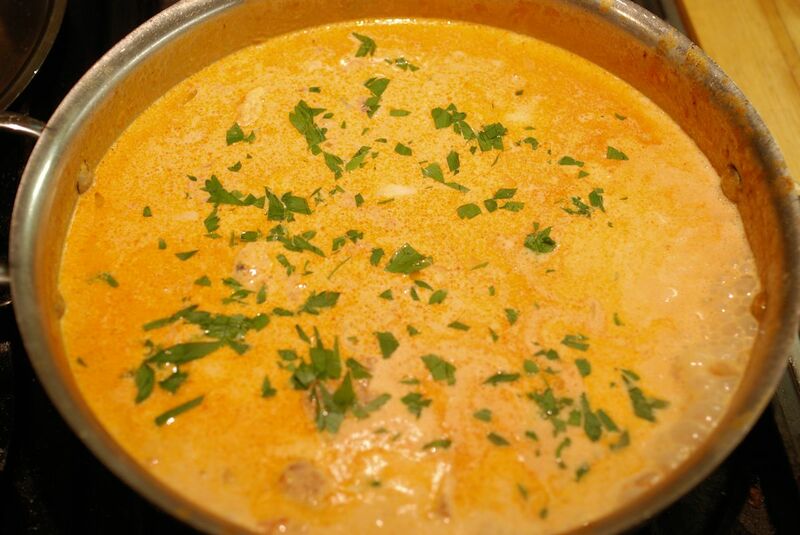 It amounts to spices, chicken breast, tomatoes and adding cream at the end. Needless to say we had to try it and make it our own. 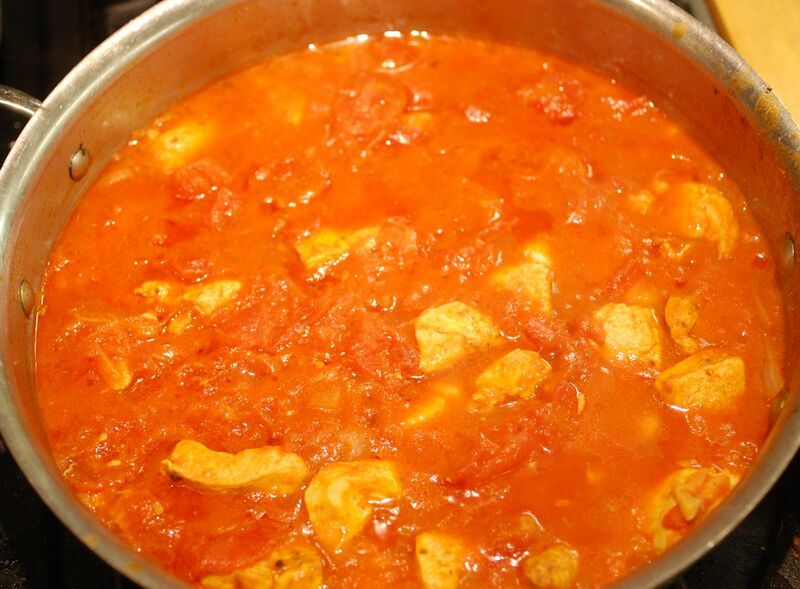 While the recipe author suggests a mix of spices, they also note that that mixture replaces using Garam Masala which is easily available at Penzeys, or you might have made it yourself: there are many similar recipes here, here and here, just know that you can now order indian food online if don’t happen to have that much time. 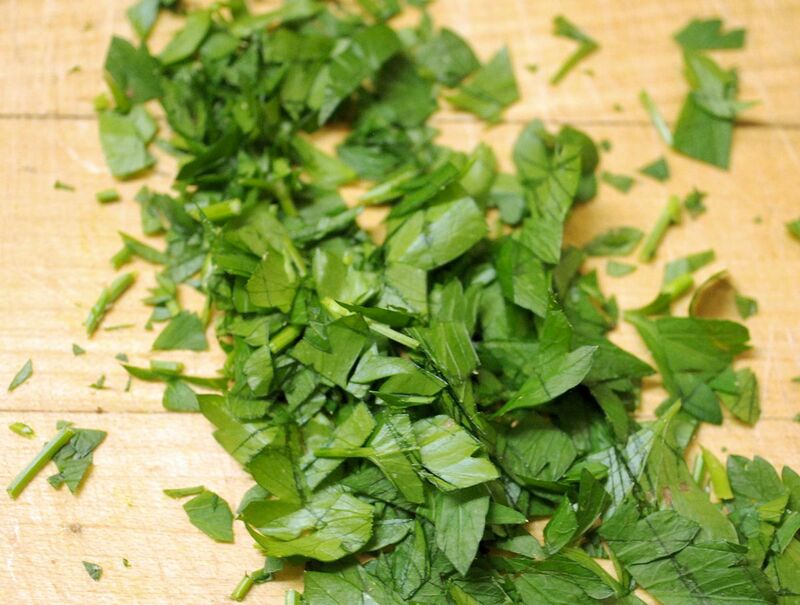 We also made some recipe changes, substituting parsley for cilantro, because of a cilantro allergy. In addition, some Indian chefs have suggested that this recipe is incomplete without fenugreek, which we include in our recipe below. Add the garlic, ginger, spices and lime juice to a Ziplock bag and add the chicken. Toss to make sure the chicken is covered, and marinate, refrigerated for 4 hours or overnight. Melt the butter in a large skillet and sauté the onion until soft. Add the marinated chicken and sauté for 10 minutes over medium heat. Chop the plum tomatoes and add them as well. Stir until uniform and cook covered for 30 minutes at medium-low heat. Add the whipping cream just before serving, and sprinkle with the parsley or cilantro.